Interested in learning the fundamentals of mountain biking? 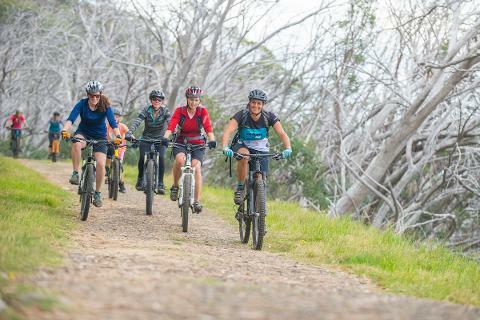 Let our qualified and supportive female instructors lead you through the basics and give you the confidence and skill to ride single track. The perfect environment to practice and improve, regardless of how much time you have spent on a bike. Practice your skills on Sunday morning with an exhilarating ride down the iconic Delatite River Trail. You will also be shown the key steps of general bicycle maintenance. Includes two nights accommodation (with two breakfasts and two lunches), bike skills sessions, guided ride and village shuttle, bike maintenance and daily yoga/fitness classes. The perfect opportunity to ride! Join like minded females for a social and supportive weekend to progress your bike skills at your own pace. On Saturday, our highly skilled instructors will guide you around the village trails, refining your position and balance on varied terrain. Bring your own bike or hire one as part of your package for an additional $50 per day (hardtail mountain bike, includes helmet). Dual suspension and e-mountain bikes are also available. See allterraincycles.com.au for a full range of mountain bikes available for hire (prices as indicated). 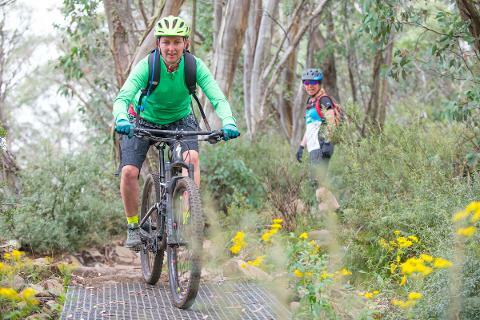 On Sunday, enjoy the exhilaration of riding Mt Buller's iconic, Delatite River Trail, the most fun you will have on a mountain bike! 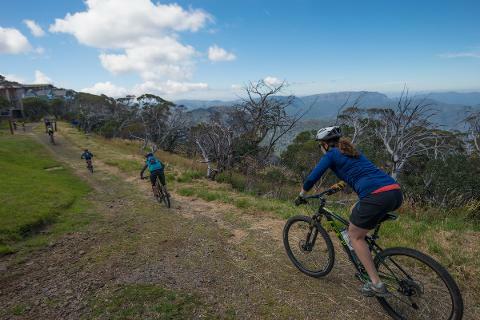 A classic mountain bike adventure with multiple river crossings as you travel from the village to Mirimbah Park at the base of Mt Buller. Ride includes return shuttle to the Mt Buller Village.